How Do 1More’s Triple Driver Over-the-Ear Headphones Stack Up? On any given day, you’ll find me working from home. 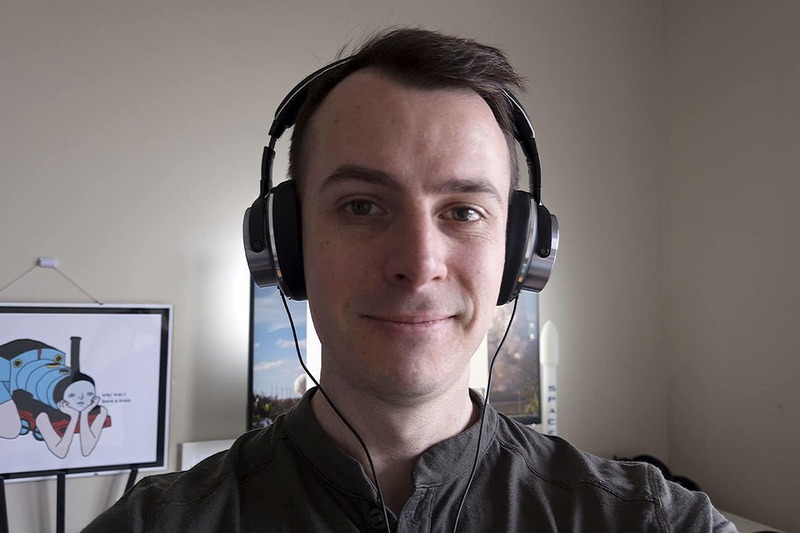 When I’m not hard at work, I’m a bit of an audiophile, so when I take breaks or have free time, I’m typically listening to music or noodling around with my guitar. My downstairs neighbors are not audiophiles (and demonstrate absolutely no appreciation of good music, based on the complaints to my landlord), so finding a nice pair of headphones was Mission Number One shortly after I moved in here. This was a mission that was easier said than done, it turns out. 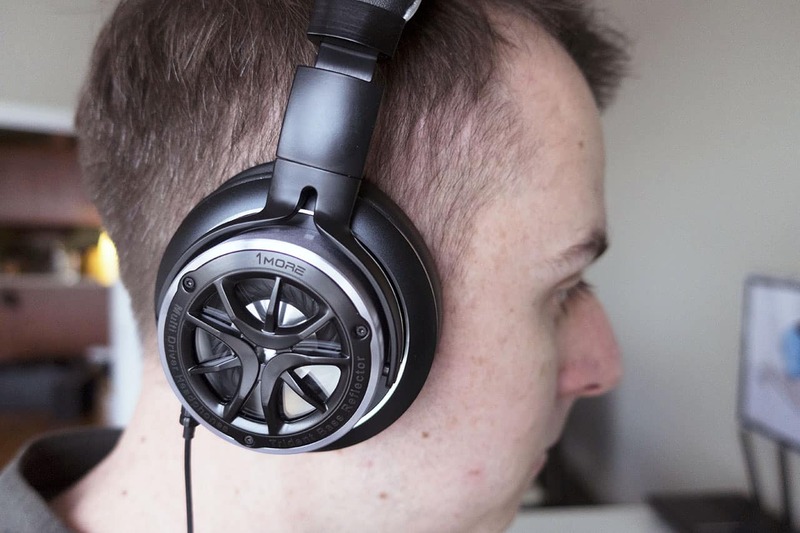 I researched, read reviews, and even bought a few pairs – only to discover that even some of the higher-priced, flashy-looking headphones out there are nothing but looks and hype. Then I read about 1More’s new Triple Driver Over-the-Ear headphones. I was skeptical about the good feedback I was seeing; after all, 1More built its reputation on creating affordable in-ear headphones, so a pricier pair of over-the-ear headphones seemed like a stretch for this company. However, they looked pretty cool and then reviews were solid, so I was finally convinced to give them a try. If 1More is trying to impress, they work hard to do it before you even open the box. My Triple Driver Over-the-Ear headphones arrived in a heavy, high-quality cardboard box that sent a clear message that the company really values their product and their consumers. 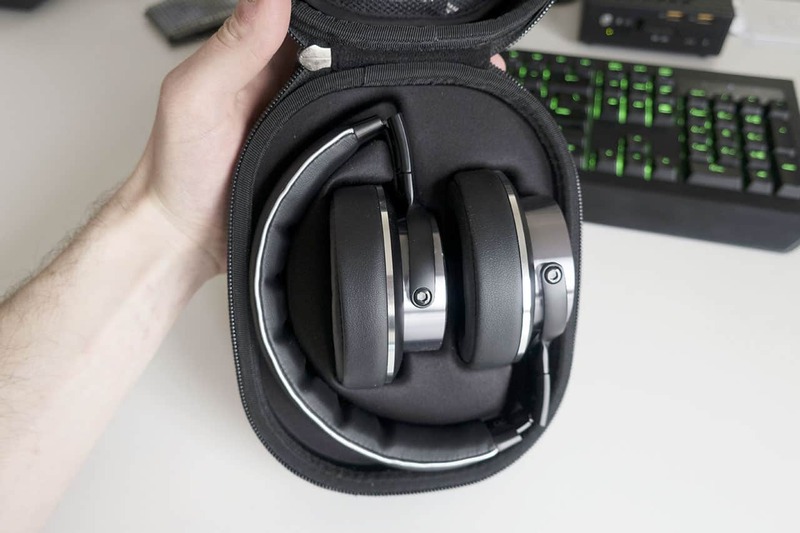 The headphones are encased in a protective sleeve. They come with a truly nice carry case for you to fold them up and take them on the go (more on that later). The thing I love about the look of these headphones is that they’re unique in a low-key way. They don’t scream “look at me!” the way certain other brands do, but when people see them, they can’t help but do a double-take. 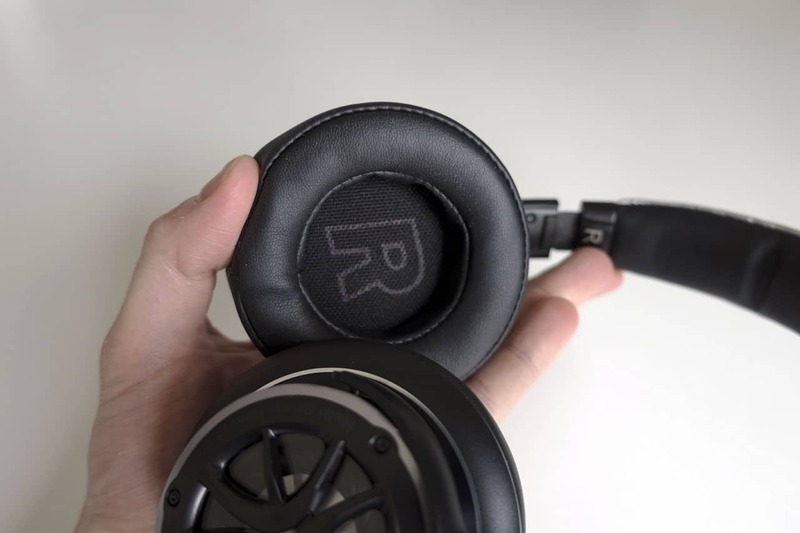 This is due to the open design that allows you to see the drivers inside the headphones themselves. Don’t worry; each one is covered in a high-quality, clear plastic that protects the inner workings and traps the sound. The ear cups and headband are cushioned with really nice leather that’s high-end and comfortable. “But how do they work,” you ask? Well, I’ll tell you. The sound of the 1More headphones is where the three drivers really shine (once you get through staring at them). The top and bottom notes are detailed and crisp, while the bass is tight. They provide an awesome, even sound. I even tested them with classical and jazz and found that they hold up just as well as more expensive headphones I’ve tried. Noise isolation is also pretty good; I can walk down the streets of the city or take them on a long flight and not be bothered with loud noises intruding. As mentioned before, they do a pretty decent job of preventing noise leakage, although your neighbors on a quiet plane will hear some noise if you crank them up. Altogether, I’m really pleased with the 1More Triple Driver Over-the-Ear headphones. 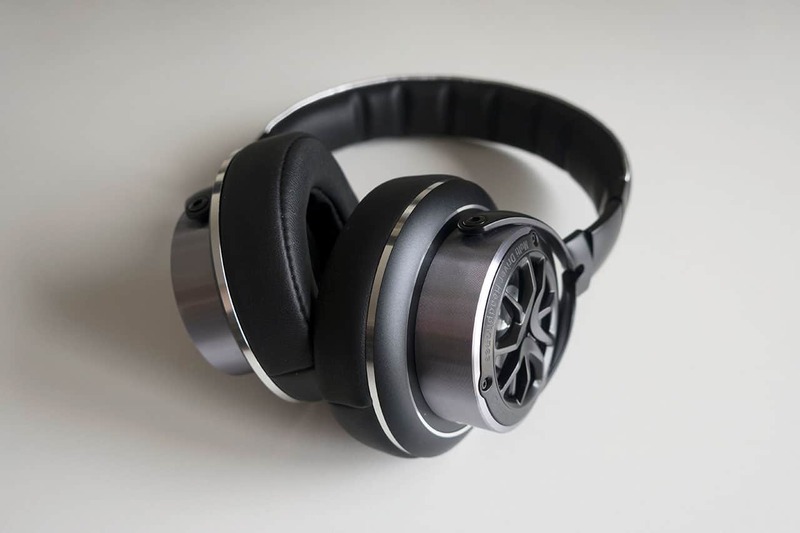 Whether I’m listening to my favorite tunes or working one out on my guitar, they’re stylish, as well as light and comfortable enough for me to wear for long periods of time. I’m happy and I imagine that my neighbors are breathing a sigh of relief.